Saturday, June 8 @ 6:30 p.m.
SHOW stands for Start Helping Our Wateresources. Our goals encompass everything from educating others about the importance of clean water to actually building clean water resources around us. 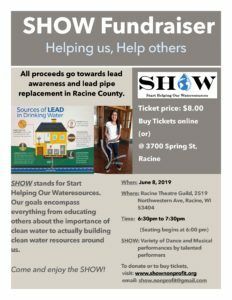 All proceeds go towards lead awareness and lead pipe replacement in Racine County. Come and enjoy the SHOW! Variety of Dance and Musical performances by talented performers, including Natyarpana Dance Company, Academy of Dance, Students from The Prairie School, Students of Charlene Melzer, and Students of Candy Kopecky. 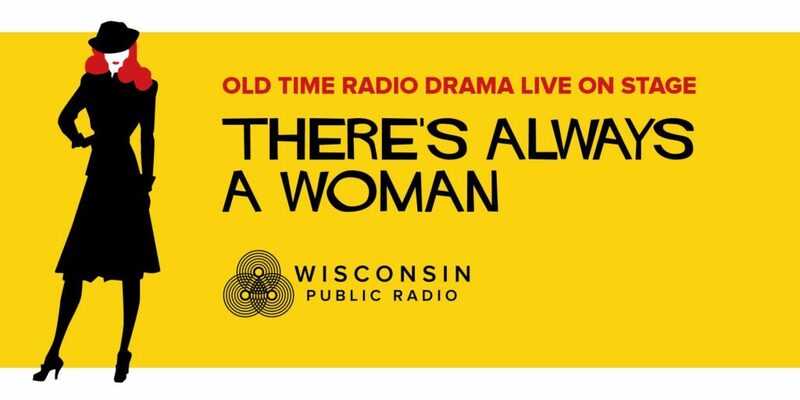 Saturday, June 22 @ 7 p.m.
Wisconsin Public Radio’s Old Time Radio Drama Live presents a new show featuring an intrepid detective who gets her way despite all the men who underestimate her. “There’s Always a Woman” is Old Time Radio Drama host Norman Gilliland and co-star Michele Good’s updated version of a 1939 Campbell’s Playhouse radio drama. You’ll delight in the clever noir narrative with its husband-and-wife private eyes, a mysterious wealthy client, blackmail, gambling, and nefarious doings. When Bill Reardon gives up on his detective agency and darling spouse Sally takes a case on her own, no one knows whether she can pull it off. The show includes dramatizations of reworked Campbell’s Soup commercials, and, pre-broadcast, a mini-episode of “Fibber McGee & Molly.” Audiences of all ages love Old Time Radio Drama for its strong storylines, clear characters, period music and entertaining sound effects. Be part of the live broadcast–you never know what will happen! The Racine Theatre Guild rents our facility for various performances, meetings, fundraisers, and events. To learn more about our theatre and rental information, visit the Our Facility page. Rental Events are not a sponsored activity and the Racine Theatre Guild does not approve, support or endorse these programs and activities.